New York Daily News Name Mazda6 Best Family Car! Mazda recently announced that the 2017 Mazda6 has won a New York Daily News automotive award for the second year in a row. Mazda6 is only one of four repeat winners from last year. This is awesome news! With its upscale interior, seductive KODO—Soul of Motion design and driving dynamics more comparable to premium sports sedans than most midsizers, the 2017 Mazda6 seamlessly blends the needs of a family with the wants of drivers who crave driving a truly satisfying car. Mazda6’s standout IIHS and NHTSA safety scores and its miserly fuel-efficiency, thanks to SKYACTIV™ Technology, further bolsters its place ahead of its competition. For 2017, Mazda6 added exclusive—and standard—G-Vectoring Control. This uses the engine in conjunction with steering to help deliver a more surefooted driving experience. Adding to the experience are increased sound-absorption materials throughout the interior. There’s also an available premium package that endows Mazda6 with piped Nappa leather seating surfaces and a heated leather-wrapped steering wheel and rear seat. The Mazda6 carries a starting MSRP of just $21,945. New York Daily News Autos staff members and contributing writers considered all 2017 model year vehicles. The vehicles also had to have a base price of less than $100,000. The vehicles needed to be on sale and available to consumers by February 1, 2017. Want your own New York Daily News award winning Mazda6? 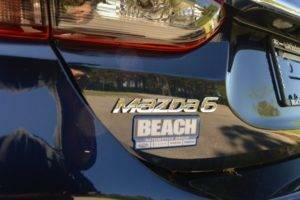 Give Beach Mazda a call today! We will schedule a VIP Test Drive Experience just for you! Don’t wait! Call or stop by Beach Mazda today! 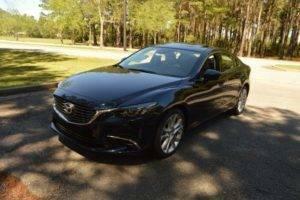 0 comment(s) so far on New York Daily News Name Mazda6 Best Family Car!